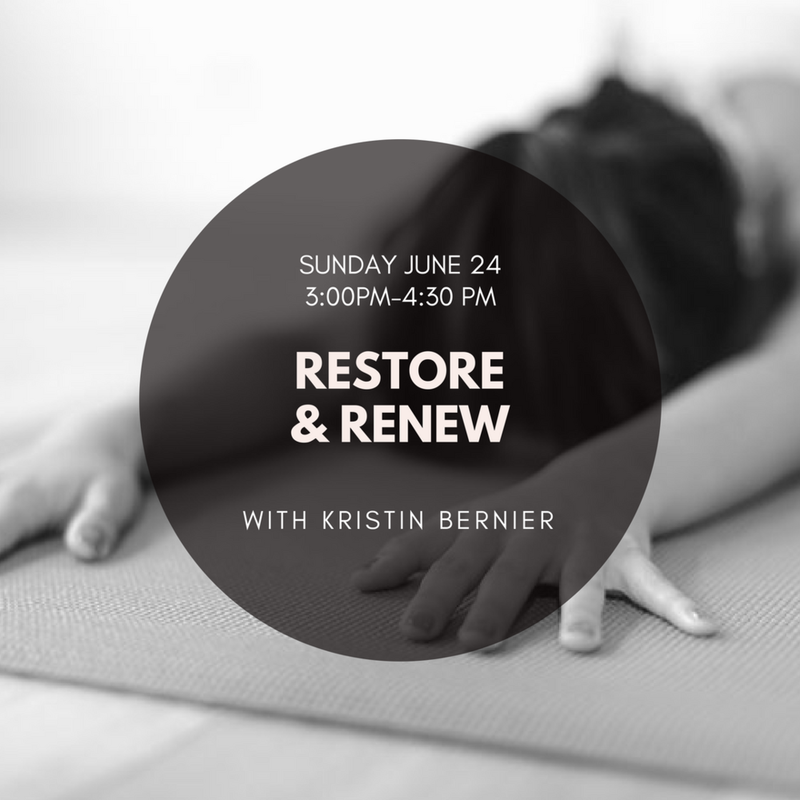 Take some time to balance, relax and restore your vitality with restorative yoga. In this 90 minute class with Kristin Bernier, props like blankets and blocks will be used to help us comfortably settle into relaxing yoga postures, providing the benefits of deep, passive stretching. Class will begin with some breath work, a short gentle flow, and then move right into a few longer held restorative postures. Assists and soothing massage with essential oils will help us calm the mind and more deeply release into these postures. This class is perfect for all levels of yogis, all stages of pregnancy, and anyone who may be nurturing an injury. OM. $25 per person. Please pre-register for this event. Participants are encouraged to bring a pillow and blanket for an extra comfy restorative experience!